Real-time account creation and configuration. Account activity and status reports. We have added new features to our partner web site to allow you now to take cloud backup orders, trials and trial activation from your own website! Login to your partner account to upload your logo, phone number, email address, and web site address to the micro site section. 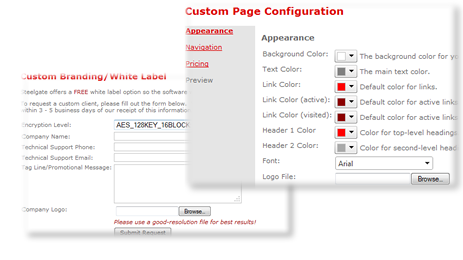 You can also customize your micro-site pages with colors and fonts to match your site. Enter which price you wish to resell the storage accounts. Create 3 buttons or links on your web site (i.e. Cloud backup signup, trials, activate your trial), these can be called whatever you want but must be linked to the URL's that will be provided after you complete the first step above. Make a page on your web site to reference those links into your created buttons and start making money! Trials: We provide you with free storage but a license will be taken out of your license pool so PLEASE MAKE SURE YOU HAVE ENOUGH LICENSES to avoid errors. Trial activation: Upon the user activating his account, the storage will then be taken out of your storage pool, i.e. if the client activates a 50GB account, it will be taken out of your available storage, so PLEASE MAKE SURE YOU HAVE ENOUGH STORAGE to avoid errors. 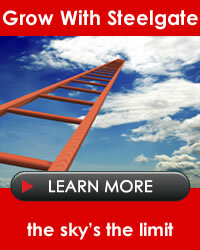 Steelgate White Label Cloud Backup will help you, the Reseller become a fully enabled Service Provider. Our infrastructure transforms your project oriented lower margin business by delivering a total solution to your customers that includes, COMPLETE DISASTER RECOVERY, UNLIMITED LOCAL BACKUP, OFFSITE BACKUP, allowing you to earn very high margins on services, and you own the customer! 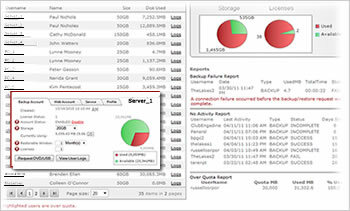 We deliver a global, private labeled, Hosted Cloud Backup Solution with features and applications uniquely designed to have full control and benefit of top of the line reporting features.The infrastructure we provide enables you to deliver a more feature rich and cost effective solution to your customers, regardless of where they are in the life cycle of their current technology. We enable you to sell, manage and deliver your own Cloud Backup service. 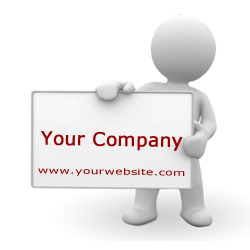 Our infrastructure, branded with your company name, allows you to own the customer. Our portal http://partners.steelgate.com. provides you all the tools you need to be in full control. If you are already a Steelgate Partner, click here to log in and complete a brief request form. You will have your build in 3 - 5 business days!